Sitting pretty at the bottom of Lake Wakatipu, Kingston lies 50km south of Queenstown, along a stunning road (SH-6) that takes in the Remarkable Mountains on one side, and the shores of the lake on the other. 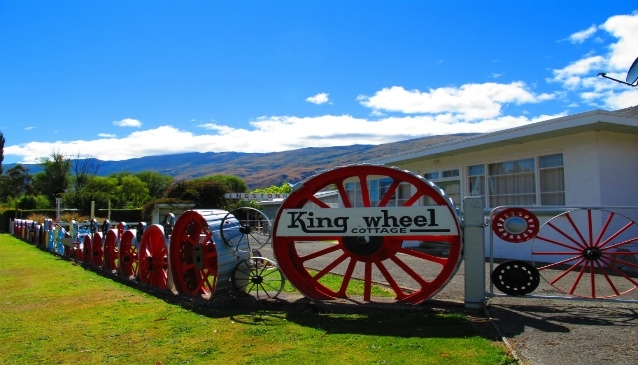 It's probably most famous for being home to the Kingston Flyer, a 14km long railway service that connected the town with Gore, near Invercargill, from 1886 to 1937, with intermittent services in the 1950-1970s, and a restored service in the 1980s. The 'flyer' has since stopped operating as a tourist attraction. Aside from the railway, Kingston was also an important hub for the area's gold mining fields. Prospectors would come here to catch boats, wagons and horses, out into the most lucrative sites around Wakatipu, with up to 5,000 stopping off in Kingston at the industry's peak, in the 1860s. By the 1930s, however, with the building of roads for cars, Kingston receded back to its original status as quiet rural backwater. 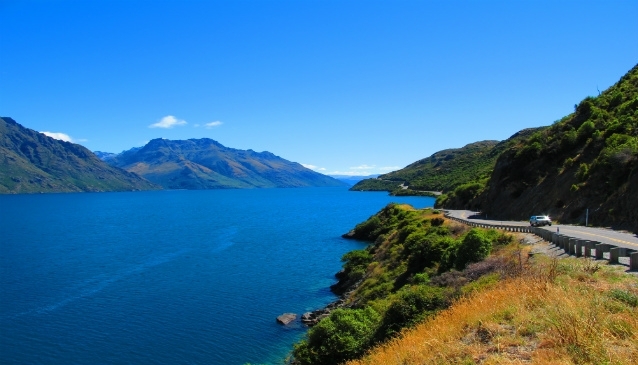 Lake Wakatipu is the main attraction for visitors to Kingston. Surrounded by mountains, it provides great access for fishing, boating and kayaking. At the Kingston end, the lake experiences a very strange 12cm rise and fall in the water level, which most scientists are at a loss to explain, for a non-tidal body of water. The famous steamship TSS Earnslaw, used to ply the waters between Queenstown and Kingston, but now only crosses from Queenstown to Walter Peak Station. It's still worth a ride, and one of the most scenic trips in the area. Golfers will find a small 9-hole course with some stunning views, plus there are miles of walking tracks both lakeside and up into the forests and mountains. The village also has a pub, two restaurants, tennis court and a shop. Overnight guests will find accommodation at the Kingston Motels & Holiday Park, on the main SH-6 as you turn off to the town, plus there's camping and mobile home accommodation up by the lake.